Pick an athlete to be on your side in a bar fight. Football? Probably Zlatan Ibrahimovic because he'd always have a more annoying insult than the next guy. Golf? In a recent golf.com poll, a majority of PGA Tour golfers picked Big Ernie Els. In tennis? Has to be Stan Wawrinka. Just that baleful look is scary. Anyway, who would mess with a grown man whose legs are like Roman columns and has the confidence to wear those ugly shorts from last year? Wawrinka is a lovely fellow who began his title defence yesterday with two backhands down the line in the first game that left furrows in the clay. He is the quietest defending champion in tennis history. Gush and hype just don't fit him. Neon shoes do. In all the Can Djokovic Win, Is Rafa Back, Will Kyrgios Charge and Does Murray Seriously Think He Can Win, almost no one is talking Stan. Not many believe that the man who won the French can win the French. A sports website had a discussion on the French and the only time Wawrinka's name came up was to suggest he will lose early. A TV tennis host didn't even utter his name when talking contenders. The second Swiss is the afterthought hero and yesterday he sneaked his way past Lukas Rosol 4-6, 6-1, 3-6, 6-3, 6-4. It was hardly the most confident win, which is precisely why I should pick him to take the title. Wawrinka is a tough guy to figure out because he shuffles in and out of our view. In 2014, he lost in the first round of the French and in 2015 he won the trophy. Shrug. This year he won Dubai and then through Indian Wells, Miami, Monte Carlo, Madrid, and Rome he won a total of five matches. Then he won four matches and the title at Geneva. Shrug. No one knows what Wawrinka will do next. Not even Stan. Wawrinka can be frustrating but this also makes him fascinating. If every athlete was a head-down, focus-hard, consistent-hitting fellow, we'd all expire courtside. Death by boredom. We appreciate champions chasing history but also the diversity of characters who make the tour. Even Radu Albot, who played his first round ever at a French Open - what history for him - and nearly ousted Frenchman Benoit Paire. No one will remember the match but for Albot it was unforgettable. Sometimes we - me definitely included - are so fixated on who isn't fulfilling their potential that we forget to enjoy athletes. If Gael Monfils turned into a gluten-eating, percentage player then we'd miss his slithering, eccentric beauty. Not every player becomes great, but each one brings a certain richness to tennis. Who celebrates as joyously as Jo-Wilfried Tsonga, strikes the ball with the abandon of Simone Bolelli, walks a high wire like Petra Kvitova, fights to subdue anxiety like Sam Stosur, does Light Brigade-net charges like Radek Stepanek, has Kenyan running genes like David Ferrer? They cannot find their better selves every day but their individual talents and their personal struggles are what make a great spectacle. 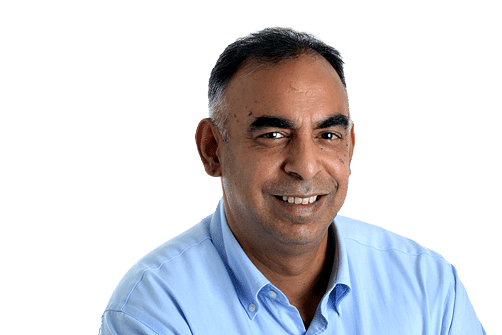 We like champions, for sure, but we also relish the oddballs and chokers, racket throwers and string tuggers, spitters and twitchers, small fellows and big talkers, talent wasters and even Nick Kyrgios, who walks with the weary, slumped shoulders of a 58-year-old overworked accountant. On his worst days, his job is to remind us of what we don't like in sport. On his best days he hits shots with the gum-chewing nonchalance of West Indies cricketers of another time. Wawrinka's beauty is manifold: If I had to pick the four greatest shots of the past 12 years, they would be Federer's first serve, Djokovic's return, Nadal's forehand and Wawrinka's backhand. It's all style, shoulder and snap. He is also a sturdy example of the persuasiveness of power, using muscle to put a fullstop to points. Yesterday he and Rosol almost required body armour for they resembled two Goliaths hurling missiles at each other. In all the Can Djokovic Win, Is Rafa Back, Will Kyrgios Charge and Does Murray Seriously Think He Can Win, almost no one is talking Stan. Not many believe that the man who won the French can win the French. But most of all, Wawrinka represents the complexity of talent: How does a man play so beautifully one day and so ordinarily the next? Is the greatest talent the ability to hold onto a talent? He can flicker on and off in a match and then he can produce high-voltage drama. "When I click on," he told a reporter in March, "I have everything to beat all the guys." Indeed. At the 2014 Australian it was Djokovic and Nadal, at the 2015 French it was Federer and Djokovic. Murray should look out. The irony is that even as he might appear erratic, Wawrinka, in the Slams, is a picture of consistency in comparison to what he was. In his first 35 Slams, he reached one semi-final and three quarter-finals; in his last nine Slams he has won two, reached two semis and three quarters. But week in and week out, he will never be Djokovic and, in a way, this makes us better appreciate the extraordinariness of the Serb's consistency. Of course, with Djokovic I pretty much know what I will get. With Wawrinka, like last night, I rarely do. The uncertainty he brings is in fact his appeal.